It is an honor to have written the biography of David Johnston, who hails from Oak Lawn, Illinois, and found his way to volcanoes when the science was about to expand with knowledge. David was a newly-minted volcanologist when Mount St. Helens ended its 123-year dormant period in 1980. When the volcano blew, he was on a ridge five and a half miles north/northwest of the mountain’s summit and was killed. This book tells the story of the Illinois boy who was taught to duck-and-cover at age 5, who heard sonic booms overhead at 14 (reminders of the Cold War), and who saw Vietnam in his future. Many have heard of Dr. Johnston, the scientist, but few have heard about the three decades of his life that came first. Always we want to honor the heroes who walk among us each day; David was a hero who walked among heroes; he wouldn’t want the story told any other way. The book will be published by University of Illinois Press (David’s alma mater for his bachelor’s degree in geology) in May 2019; it is available for pre-order now. 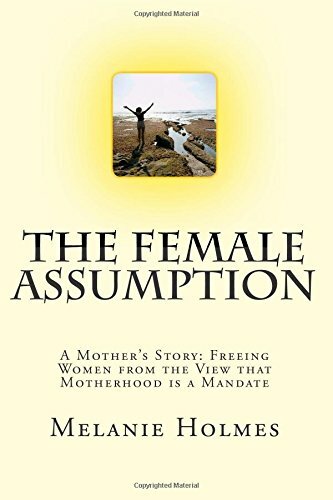 My first book, The Female Assumption: A Mother's Story, Freeing Women from the View that Motherhood is a Mandate--which won a 2014 Global Media Award from the Population Institute--shines a light on the importance of our words and assumptions. Not all women want or are able to achieve motherhood. Yet there are many paths to a fulfilled female experience, and many aspects of deep, meaningful love. This book is one part autobiographical; one part biographical in terms of women's experiences (both those with and without children); and one part deep research into women's history. Its audience is every female, and every person who speaks with females about their lives.